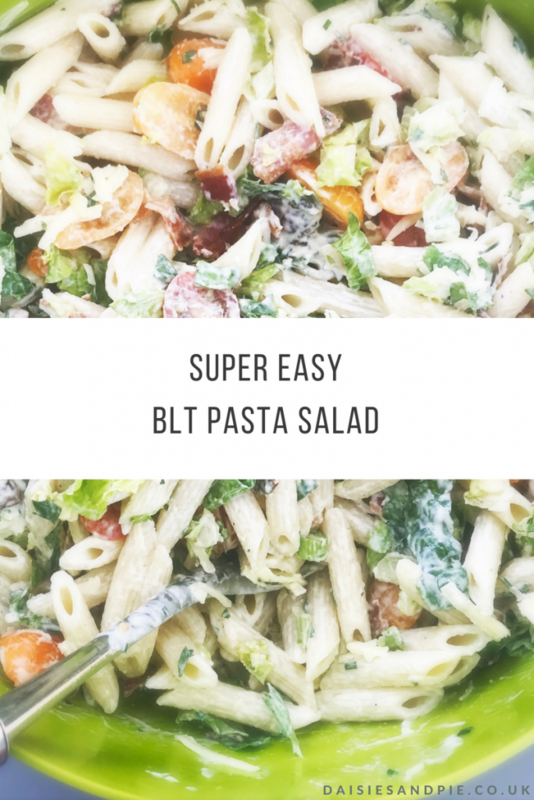 A really simple and super tasty pasta salad recipe, make ahead for an easy summer dinner or pack into lunch boxes. You can cheat with the creamy ranch dressing and buy it ready made or you can mix up your own, just do whichever works best for you. Cook the pasta as per the packet instruction in salted boiling water with a splash of olive oil to prevent it sticking - once cooked drain and rinse under cold running water to cool quickly. Set aside. Heat the oven to 200C - cook the bacon in the oven for around 15 minutes or until crispy and cooked through - be careful not to burn it. Once cooked rest the bacon on kitchen paper to absorb the grease - once cool cut into strips. Mix up the ranch dressing - add the creme fraiche, mayonnaise, herbs and garlic - season with salt and pepper. Optional - add a dash of tabasco, Worcestershire sauce and sprinkling of paprika to taste. Put the pasta, bacon, grated cheese, tomatoes, lettuce, and spring onions into a large bowl and mix gently - pour in the creamy ranch dressing and toss everything well to coat it all. Skip the bacon for a vegetarian version. Use shop bought ready made ranch dressing. Add in more veggies – try cooked and cooled mushrooms or tinned sweetcorn. Serve with corn cobs for an easy summer dinner. Take in tupperware boxes for lunch or picnics. 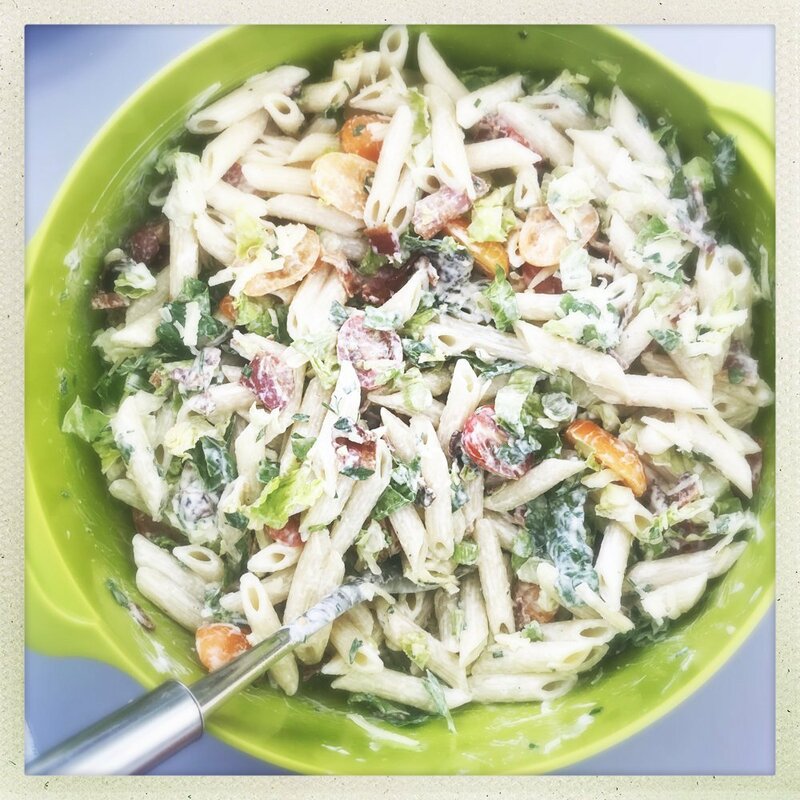 PS… we think you might also just LOVE our Italian pasta salad recipe too!